I remember an elaborate version of lamb chops at the Le Cirque in Las Vegas. The espelette crusted Colorado Lamb Chops was accompanied with an Italian olive panisse and spring vegetables stuffed in tomato. I remember another version of fusion Indian lamb chops from Vineet Bhatia's Ziya in Mumbai. This one was a Smoked Tandoori Lamb Chop with a silken potato mash, lamb samosa, spiced lamb, mint jus and lemon grass foam. I now think I have found the Holy Grail for all lamb chop lovers. This is version they serve at Evvia, Palo Alto's popular Greek restaurant. 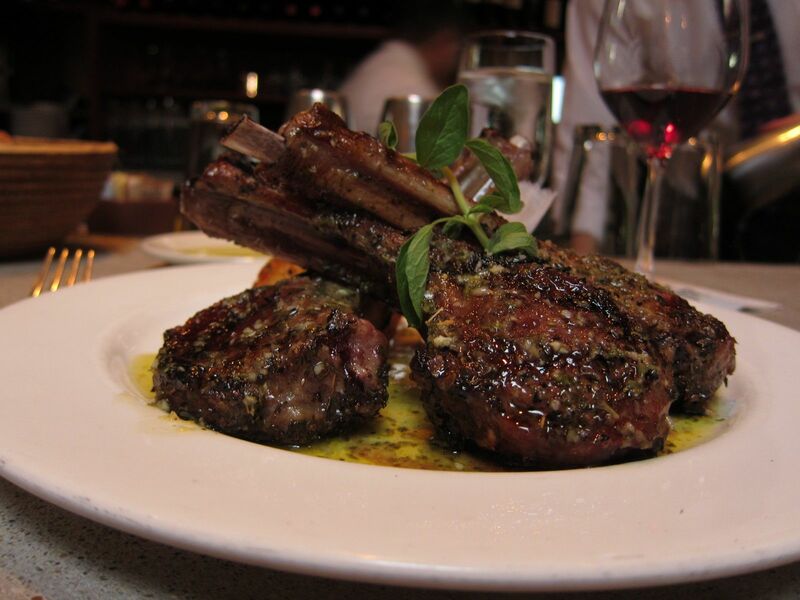 This is their signature dish, so good that when they bring it out to your table, envious glances follow the stack of exquisitely cooked chops as they make their way from the kitchen to to my table. "Don't take your eyes off them," winked the lady from the next table, "they look good enough to steal". 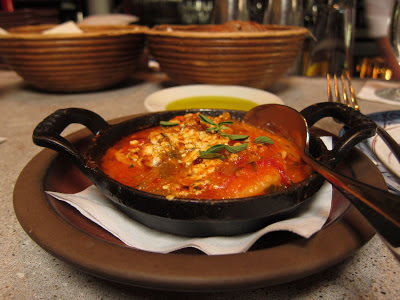 For starters, I had ordered the Gaides Tou Fournou, oven baked prawns in a tomato and feta sauce. This one was one of the few starters that didn't completely impress me; however, in other visits I have loved the grilled octopus, which is fantastic with its simple lemon, oregano and olive oil dressing. 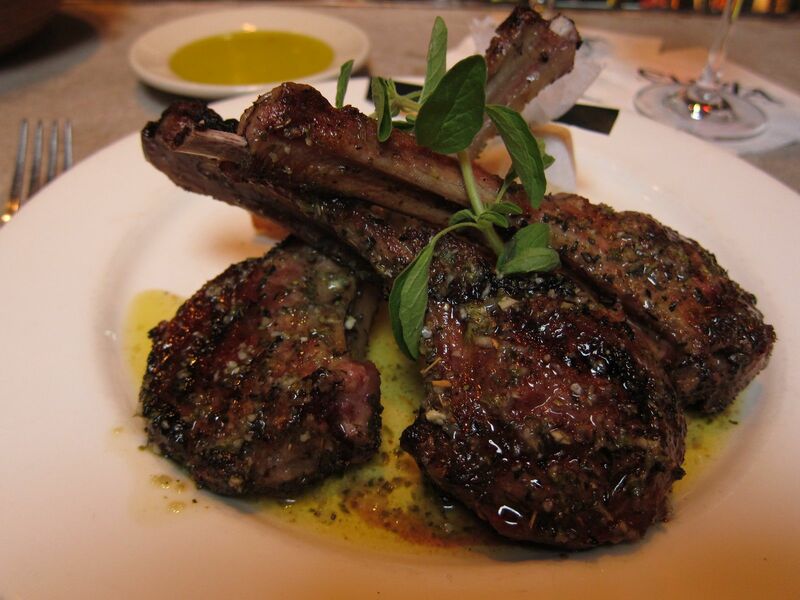 The lamb chops come in a large portion of four chops, but they will make it smaller if you ask. This dish, called Arnisia Paidakia, is mesquite grilled to perfection with olive oil and lemon roasted potatoes and never ceases to delight me. The tastes, textures and flavor can easily turn a bad day into a great one by the time I am done! 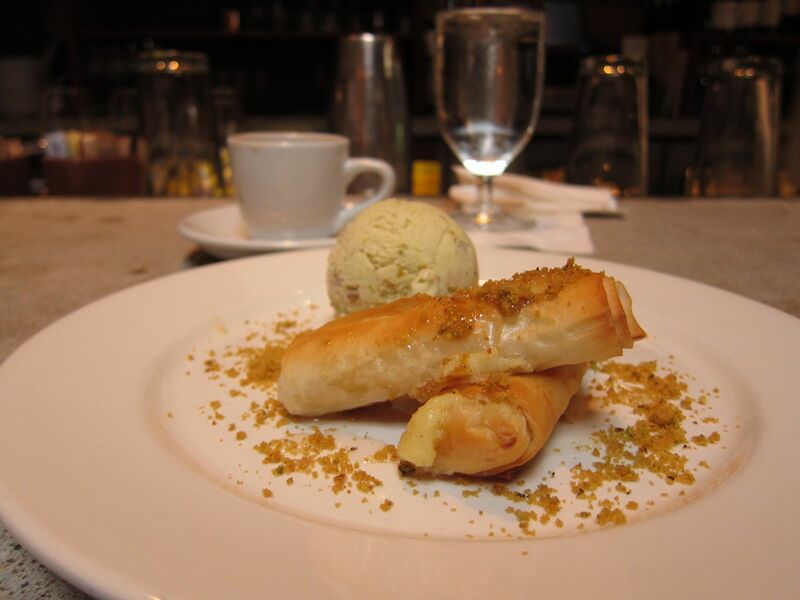 The perfect ending to this wonderful dinner is when you select the Galactoboureko, a fairytale dessert of phyllo wrapped vanilla bean semolina custard with a scoop of pistachio ice-cream. And do remember to follow with a cup of sweetened stone-ground Greek coffee. Evvia is always busy, right from the time it opens at 5:30 pm. 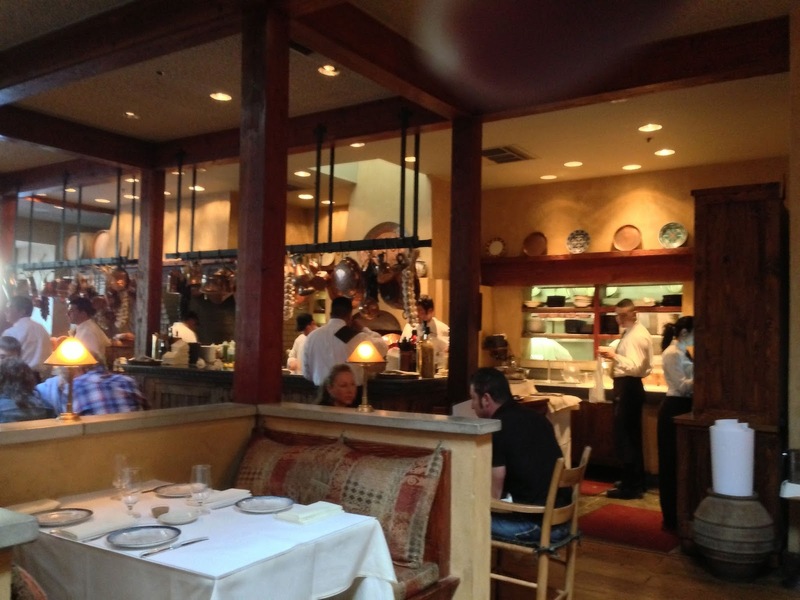 However, if you don't have a reservation, you can always wait for a space to free up at the bar. This is also a great place to people-watch a microcosm of Silicon Valley that powers much of the innovation in the tech world right from your dining table. 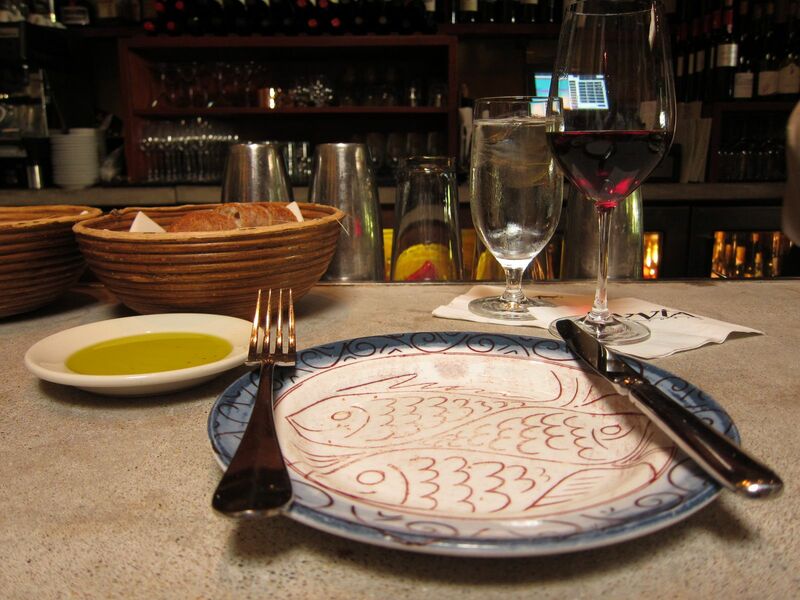 If you can keep your eyes off the delicious food on your plate, that is! I am writing on behalf of Eulogy! India for one of our clients, a luxury liquor brand, we would just be interested to know whether you are based in Bangalore or not? @Paige: No, I am based in Pune, not Bangalore.